Jordanian Prime Minister calls for building an economic bloc that brings together Jordan, Iraq and Egypt. 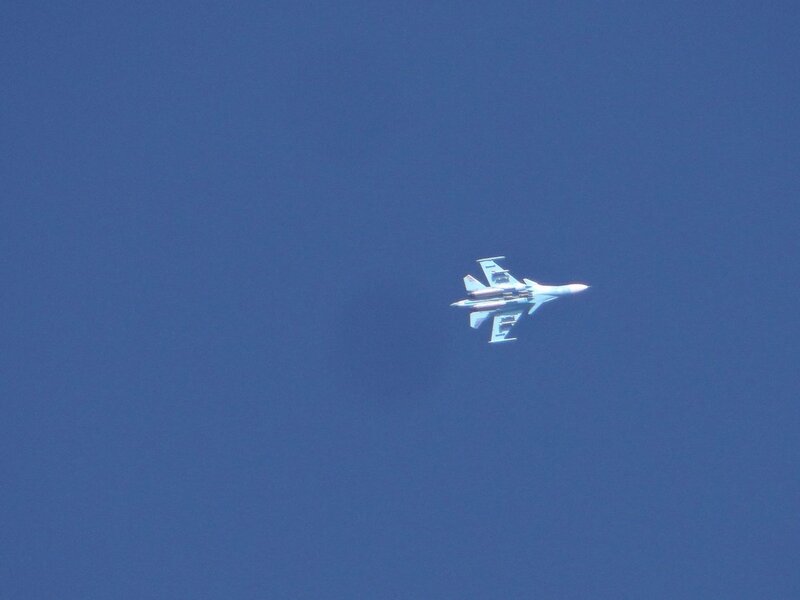 Iraqi Dijla Operations Command says 6 ISIS killed by air strike in Khaqanin district of Diyala Province. In Iraq, director of al-Nahar TV channel survives assassination attempt in Baghdad. 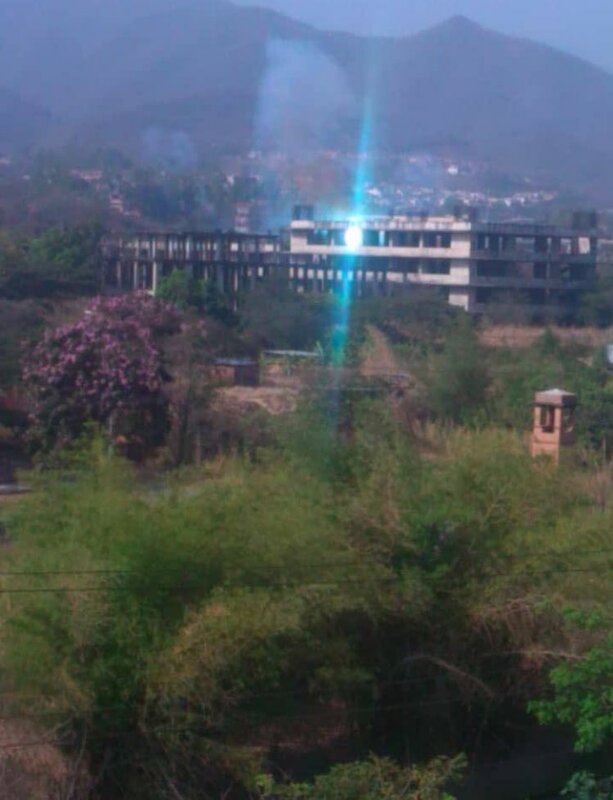 Unknown group fired on his car. 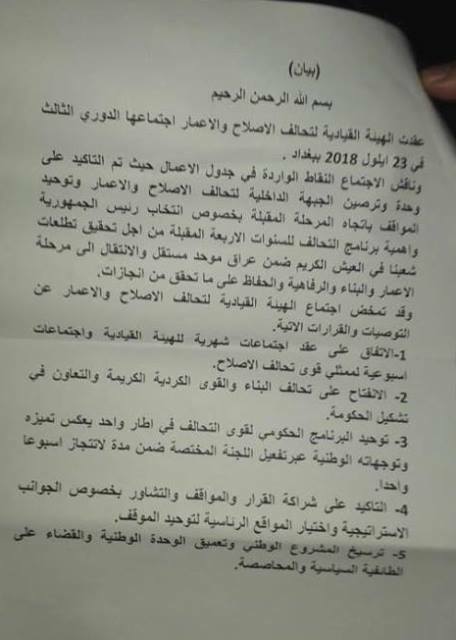 Coalition of Reform and construction which's lead by Iraqi PM @HaiderAlAbadi and Shiite cleric Muqtada al-Sadr asking Kurds to unite their stance to elect a new president for Iraq ,otherwise there will be a consensus by the reform coalition to choose one of the candidates." 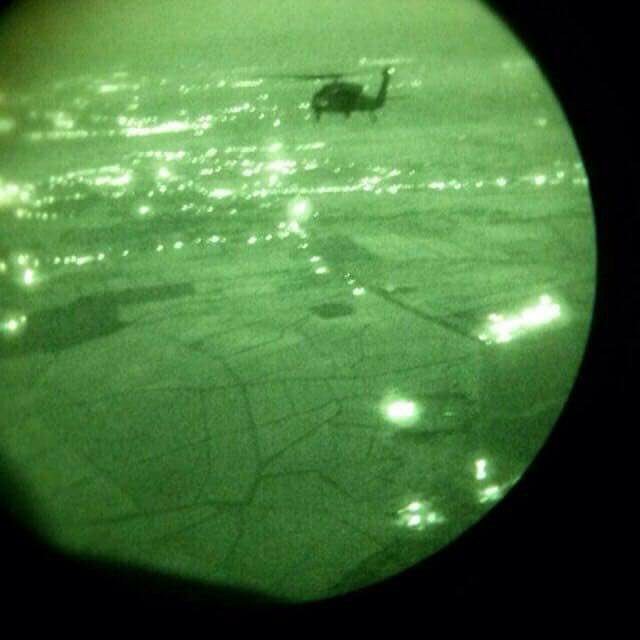 Iraq's Federal Police conducting clearing ops in Rashad district, Kirkuk province. At least 3 Da'ish safehouses found and destroyed in addition to nearly a dozen IEDs. Iraqi court sentences 4 civilians to life in prison for having served in ISIS Islamic and Military Police in Kirkuk and Ninawa Provinces. 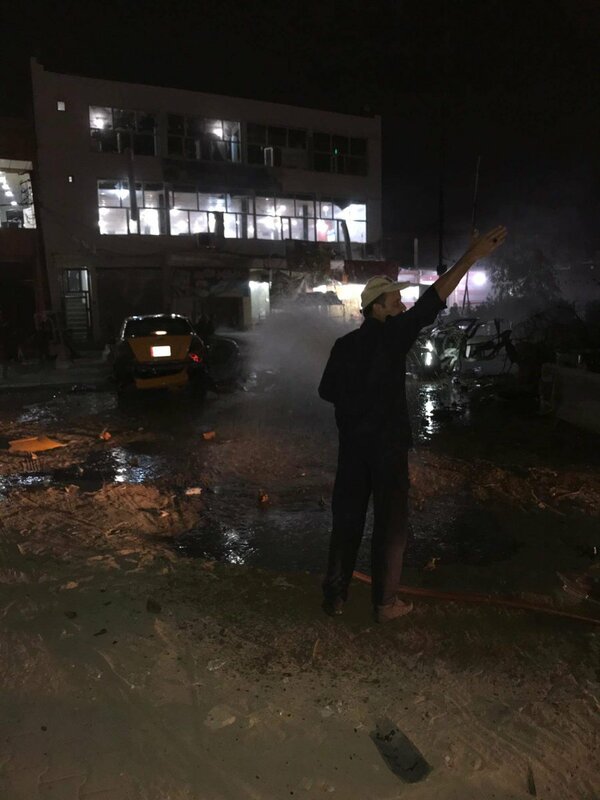 Iraqi Federal Policeman from 3rd Battalion, 3rd Brigade, 6th Division killed by improvised explosive device attack on his patrol in Riyadh subdistrict in southwest Kirkuk Province. KRG Prime Minister Nechirvan Barzani spoke by phone with US Secretary of State Mike Pompeo on Saturday night to discuss latest political developments in Iraq. 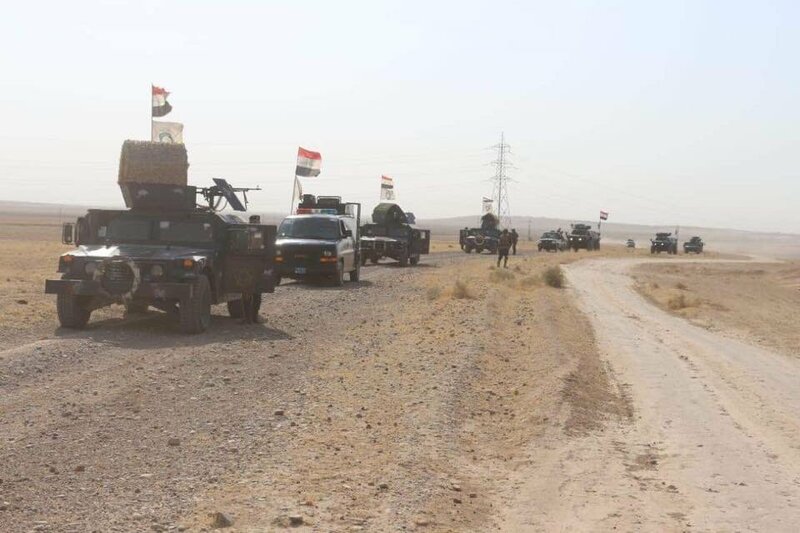 Iraqi PMF (Hashd) and Federal Police prevent ISIS attack on village in Hawija district of Kirkuk Province. 2 ISIS killed and 2 injured. 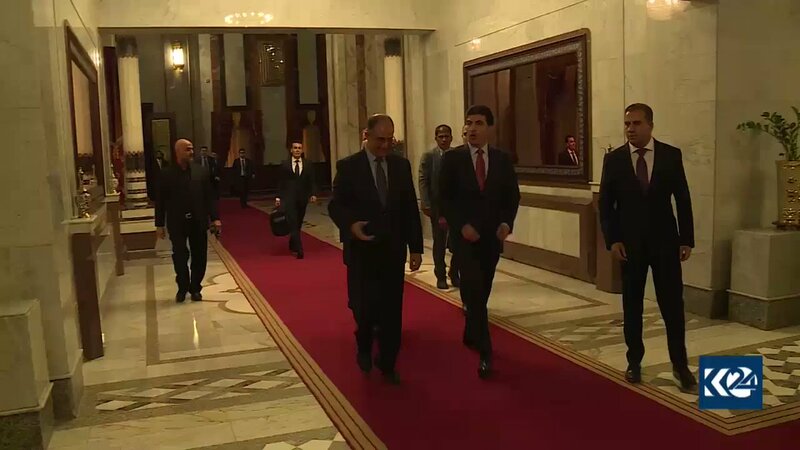 Kurdistan Region's @PMBarzani met with his Iraqi counterpart Haider al-Abadi in Baghdad on Saturday to discuss Erbil-Baghdad relations as well as the formation of the new Iraqi government. The newly-elected speaker of Iraqi Parliament, Mohammed al-Halbusi arrived in Erbil on Saturday. 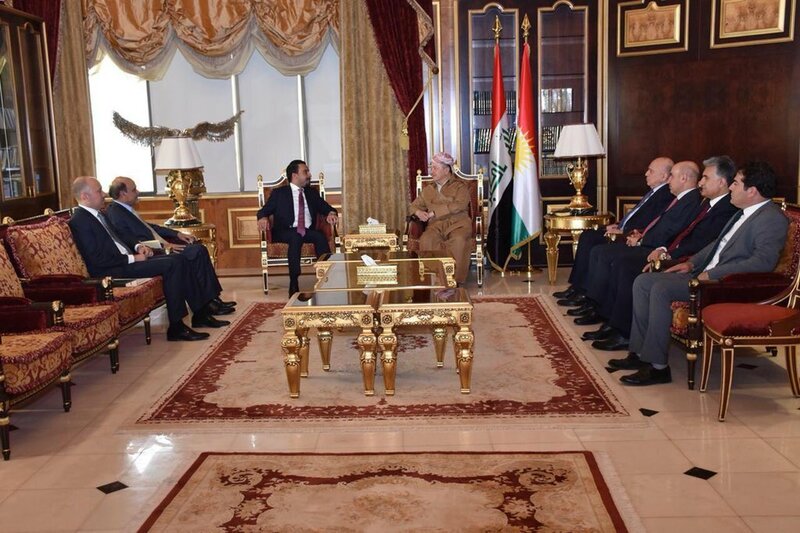 He met with KDP Leader @masoud_barzani. According to non official sources Barzani has asked Halbousi to postpone the parliament session to elect the President of Iraq. Iraqi Security Media Center announces arrest of 2 ISIS in East Mosul. 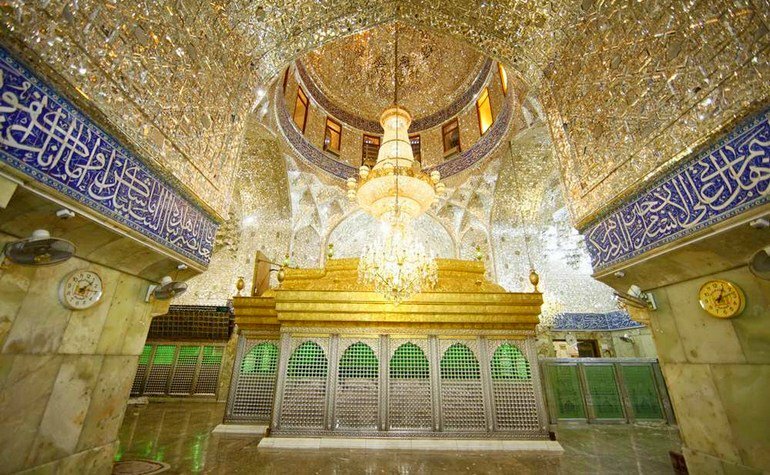 Both worked in the ISIS diwan of mosques. US Ambassador to UN says Iran has established a training center in Iraq to train and finance militias. Islamic State Claims Killing 8 ISF In Clashes In Shaykh Hamad Village Northeast Of Shirqat District. 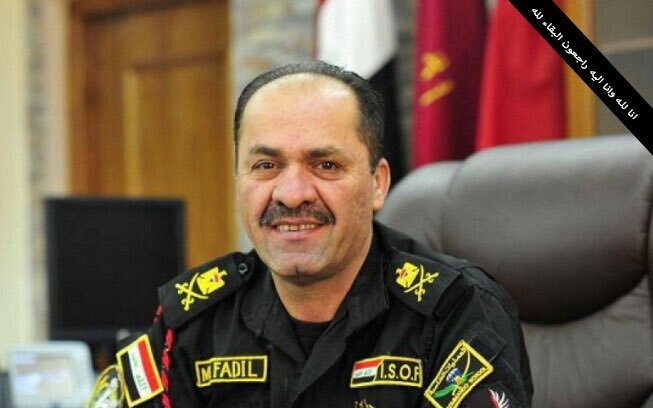 Commander of 1st ISOF, CTS, Maj. Gen. Fathil Barwari, has passed away from a stroke. Reports of an IED blast in eastern Baghdad. 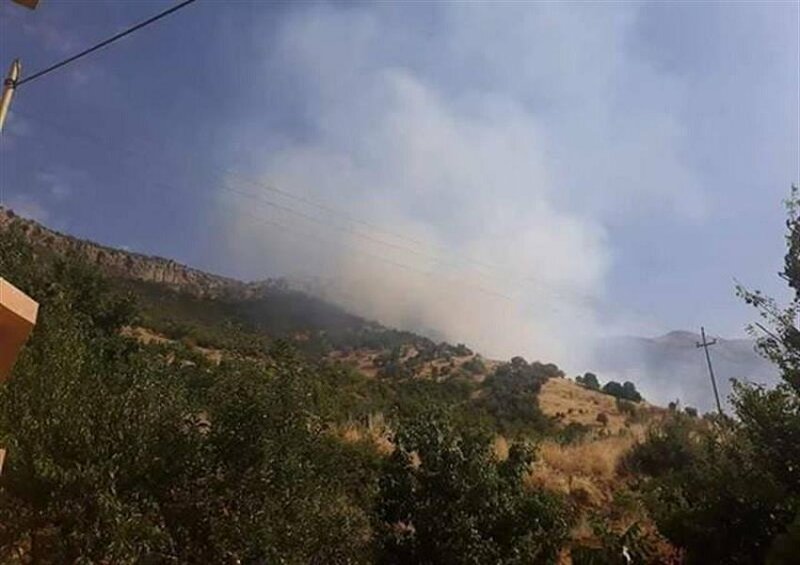 An explosion hits Kirkuk. No more information . Iraqi Federal Police deny they have arrested and tortured innocent residents in Daquq district of Kirkuk Province. Rather they arrested 3 militants who had committed many crimes. There was no torture. ISOF carried out a raid in the Anbar desert near the Jordanian border which led to the killing of dozens of militants and destruction of several tunnels.